Time to try a new cheese! This tasty cow’s milk cheese from Nicasio Valley, CA is a bit like Taleggio, but milder and firmer. 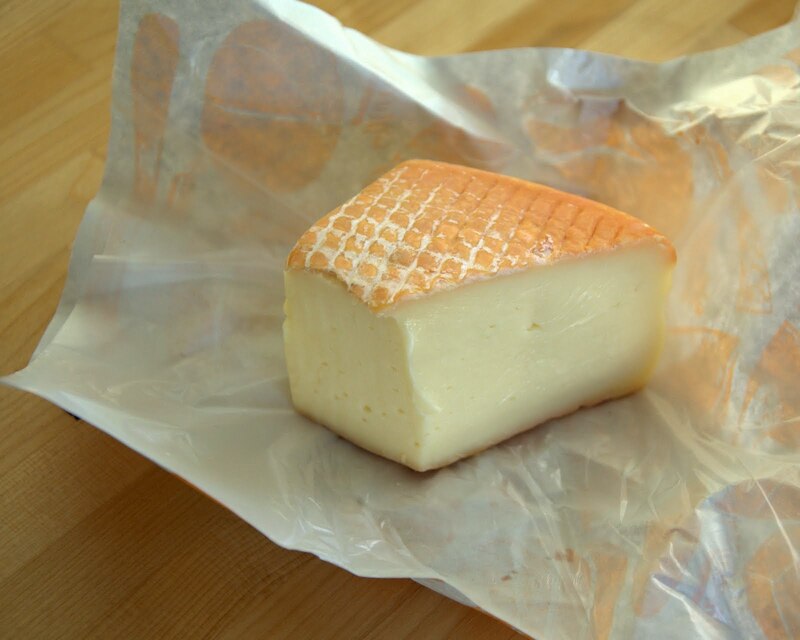 It has a washed rind (my favorite) and it’s aged for 30 days—even better, it’s made from certified organic milk. Nicasio Valley Cheese Co. cows derive most of their diet from grazing in the pasture, and they’ve even rented some of their fields out to Marin Farms to let them raise free range chickens. In turn, the chickens aerate the cow pastures and eat up those pesky bugs. As far as I know, this cheese is currently only available in California, so if you live in the state, go out and get some! Nicasio Square Cheese, from Nicasio Valley Cheese Co. is available HERE. I usually get mine a Berkeley Bowl.